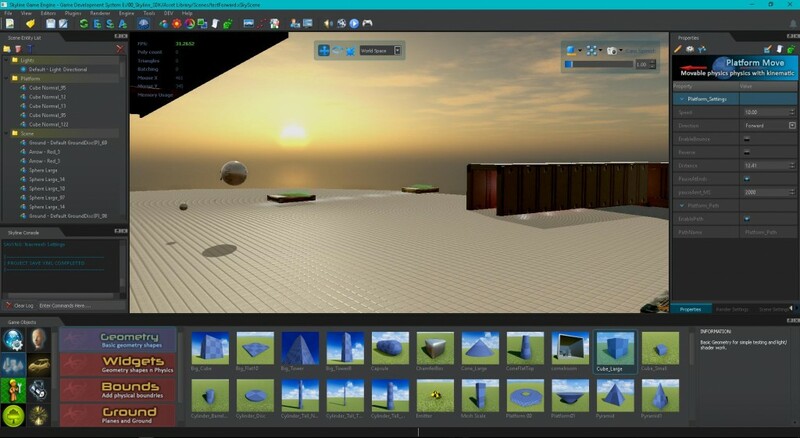 The functionality of the second generation of Skyline is returning in leaps and bounds as we see the return of the GUI editor (featured image) with new and improved features that make it easier then ever to create graphical interfaces, HUD's and more. The GUI editors now includes the dragging of modules into the editor that increases the efficiency of the work flow even if you are new to HTML and CSS. When you first open the GUI editor make sure to create a new document "GUI Editor > Main menu > File > New GUI", it creates a .rml, .rcss. 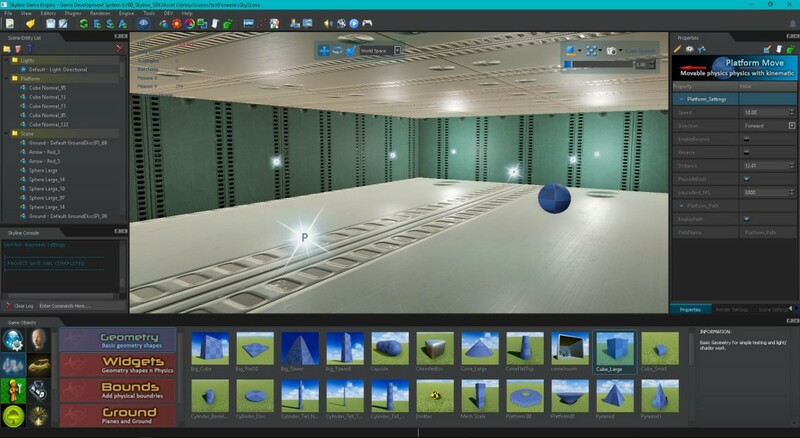 In addition to the GUI editor we have the new game objects system that makes creating your scenes not only quicker but efficiently allowing you to place your level content. 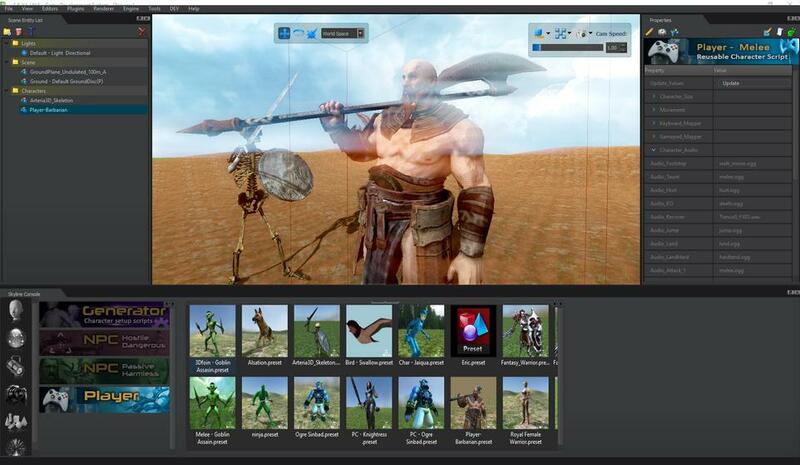 Access to game ready assets. The process of using the new system could not be easier even for those that are new to the Skyline development platform. LMB click in scene to add. CTRL+ LMB and move side to side to turn object on the Y prior to stamping to the scene. 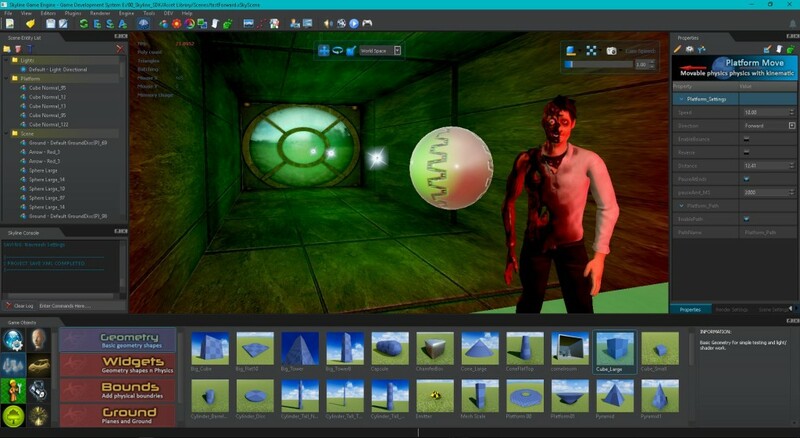 ESC to exit Game object mode and return to normal editor functionality. This is a full release and not an auto update meaning that you will have to download and install to get the full benefits and making sure that everyone in the closed alpha has the same file structure, this should also eliminate some of the bugs that have come from previous version and start everyone off from the same point and moving forward. New Prepare folder - Has the option to export textures from FBX or not. Asset Manager, Prepare folder - New option to choose whether textures are exported from the FBX or not. Fixed resource system crash and lot lots more.